Anyways! I did do my gradient nails, it went from dark pink on my thumb to white on my pinky...& I took a picture of it and totally forgot to post it last week...& deleted it. :( So this week I redid my nails lol an here it is, I personally like this glitter gradient over my first attempt at it. What nail polish did I use? 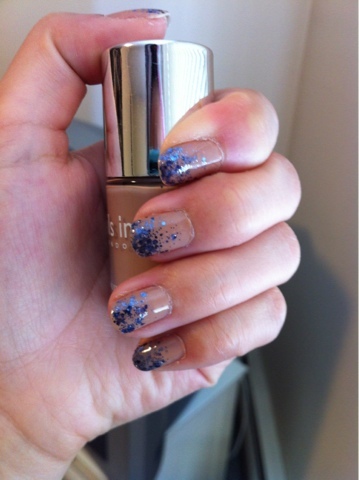 I used Basil Street London Nail Inc. polish and for the glitter I used Indi-go With the Flow by OPI for Sephora. My next nailart design is going to be polka dots.